Celebrate National Library Week with us! Guess How Many Black Jelly Beans are in the Jar! Guessing Game for All Ages! 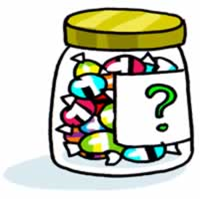 Enter for a chance to win…closest guesser wins the jar of candy. Stop by the library during regular library hours, the week of April 8-13, to play our guessing game!